September 20, 2017 This post may contain affiliate links. Thinking of Quitting your Job and becoming a Stay at Home Mom? How do you know it’s the right thing to do? Can your family afford to live off one income? You are not alone with this dilemma. The tide is turning and the amount of Moms choosing to stay at home has increased by 6% over the past decade. But with most big decisions, there are Pros and Cons you need to consider. A new survey by Care.com has found that one in four working moms cry once a week due to the stress of “Balancing Work and Family Life”. The Mental and physical struggle of juggling Childcare, Cooking & Cleaning all while trying to keep a full time job is real and stressful. As Modern Women and Moms there is this unspoken pressure on us to uphold everything Feminists of the past have fought for – our right for equal pay, to support ourselves, equal employment opportunities, the choice to Not be pregnant in the kitchen. Here are 61 Stories of Real life Moms who have chosen to leave their jobs and Stay at Home to raise their kids. Definitely read a few. Are your kids seeing you permanently stressed out, rushing to get things done, angry? Will choosing to be at home alleviate this stress and make family life better? I’ve seen every one of my children take their first – well – everything. Being a Stay at home mom means you get to see it all. The good, the bad and the Amazing! Kids grow up so fast. When you’re a stay-at-home mom, you’re pretty much guaranteed you’ll be there for all of your children’s major milestones. Have you ever heard someone say, “I never should’ve been a stay-at-home mom”? No? Exactly. For some families, it’s actually less expensive for one parent to stay home than it would be to pay for childcare. Staying at Home could actually save you more money than if you worked full time. I know. Right? Doesn’t make sense, but it’s true. The costs associated with you working outside the house can add up. You can Save Money in the Home: Your household is probably your biggest expense and takes the biggest bite out of your paycheck. Staying at home and running your household efficiently will save you more money than you actually bring in. You can Save on Work Related Expenses like clothing, vehicles, phone plans. Do the Math. It might surprise you. Actually it will surprise you. And then there’s the other side…. What if you’ve done the Math and your family cannot possibly survive on a single income. Many families are putting off having children until their 30’s. It’s given woman time to secure their career and that second income makes a big difference. How serious are you about staying at Home? The only way that staying at home will work for you is if you are OK with making sacrifices. Oh yes. There are many families living off one income but it means that they have had to make it work by cutting a lot of expenses. No more regular hairdresser visits. No more clothes from this decade. Wish I was joking here. My clothes are older than my kids. Forget Takeout. You are going to have to learn to cook. Can you live in a smaller house? You have to be prepared to make some sacrifices if you want to live off one income in a two income world. Your friends are at Work. And you are too tired to catch up with them once the kids have gone to bed. All 24 hours of your day is spent in the company of children (they would take more if they could) and this lack of adult interaction can start to have a negative effect on your emotions. You start to spend a lot of time in your own head. That once smart brain of yours that used to be kept busy at work now begins to look for problems to keep it occupied. It’s scary kind of easy to get bogged down with dirty nappies, cleaning, cooking and the intense urge to curl up on the dirty couch and sleep. Break this cycle! Put on some lippy, pack a lunch, pop the kids in the pram and go find some Adults to talk to. Look for the Moms walking in the rain. Chances are pretty good they feel the same way! Random thought here – I was reading this article on how Criminals come out of prison a bigger danger to society because they learn new skills and make better contacts while under lock and key. In the business world this would be called Networking. 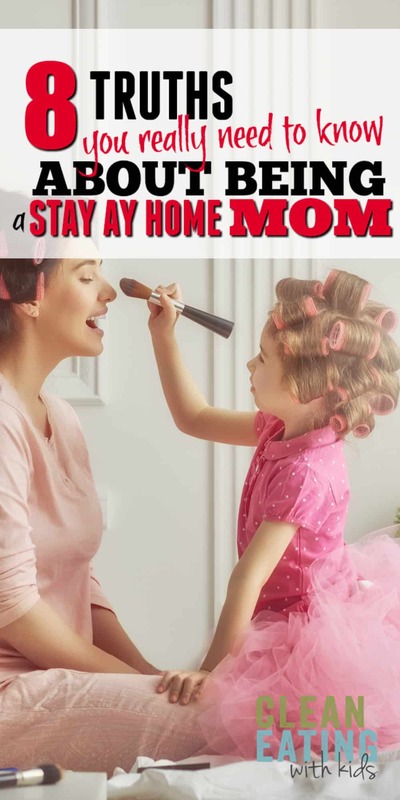 If us Moms ‘networked’ effectively during our “Stay at Home” days – we would be unstoppable! Stay at Moms tend to undervalue their worth because it can’t be measured by a regular monthly Dollar value. This isn’t totally in our heads, either. It’s something that gets reinforced at every BBQ you attend after quitting your job. Start a conversation with anyone and watch their interest fade as soon as you tell them that you are a “Stay at Home Mom”. You could have been an Astronaut or Stripper prior to wearing your Mom hat, but now – You’re ‘just a Mom’. Truth is, the longer you stay at home, the harder it is to get back into the workplace. Research firm Reach Advisors conducted a study that found 57% of Stay at home moms accept that they will be going back to work some day. I think this number drastically increases as your children get a little older. Upskill Yourself: Take community classes or earn your certificate in something while being at home. There are tons of online study options. I’m at that cross road now. I love being a Stay at home Mom. But I’m done with the nappies, done with play groups and can now burn that Frozen dvd and for the first time in what seems like forever I feel like I’m an entity separate from “me and the kids”. Some days it’s just “me”. And honestly, it feels weird and a little scary. I’m not needed on a minute to minute agenda. There are days when my home stays clean for hours!!! Have I lost my Value as a Stay at Home Mom?Maybe that sounds a little dramatic? But it’s true for me. How can I call myself a “stay at home Mom” when the kids are all at school between 9am – 3pm? There is no-one to stay home and Mom. After 16 years at home, I have a lot of self doubt about reentering the workplace. On paper, my Resume is seriously lacking in work experience and marketable skills. Add this to the fact that I have spent most of those years devoid of adult interaction….I am at that place where it’s time to focus on the ‘What’s next’? This is what it feels like on the other side. 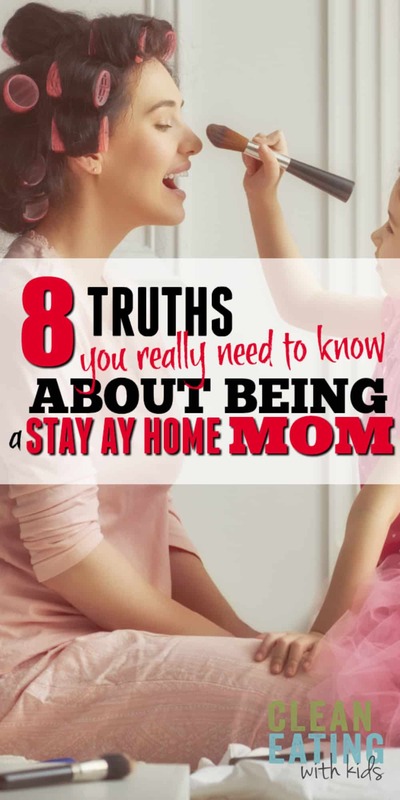 When you make the decision to be a stay at home Mom, be aware that at some point it may end. Will you be ready for that? For me? This is a big ‘Hell Yes!”. Some days it was tough but being able to stay at home and watch your children grow is amazing. It’s a time in your life that goes by so quickly. I am really grateful that my husband and I decided to make it work for us, but it hasn’t always been easy. We have had to make a lot of sacrifices along the way. We are over the hard part now (I hope), but looking back there are definitely things I could have done to make life a little easier for us. Every families journey is different. Decide on what is best for your family. And then try it. If it’s not working, fix it!